Scary movies make us feel good! UC Berkeley psychologist Dr. Eduardo Andrade says it’s down to the RELIEF we feel when the movie’s over and we realize we’re safe. And that mood lift can last for hours after the movie has ended. Should you take your leftovers with you or leave them behind? Let’s say you went out to dinner and a movie…But you left your doggie bag from dinner in the car. Well, toss those leftovers in the trash when you get home! Your risk of a food-borne illness starts rising once food has been out more than 2 hours. And if the movie is 90-minutes – add in 15 minutes of previews – and the time it took for you to get from the restaurant to the movie theater…And then from the movie theater back home. All-in-all, the leftovers in your car have been sitting for more than 3 hours. Hello, food poisoning! If you go straight home after dinner, your leftovers are fine. If not, don’t bother asking for a doggie bag. If you indulge in a medium popcorn with butter topping at the movies, you’ll consume over 1,100 calories. To burn off that amount of popcorn, you’d have to climb 1,700 stairs – the amount that leads to the top of the Eiffel Tower – 3 TIMES! 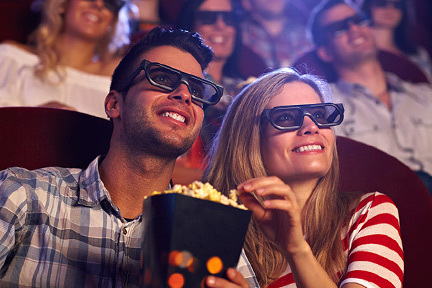 Avoid germs when you go to the movies. I love to go to the movies and if you’re like me, you’ll be happy to know this important info to avoid germs in the theater. Cover any cuts or abrasions. 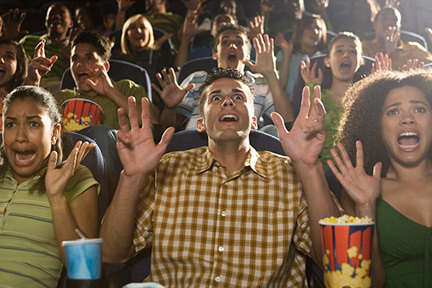 When viral experts swabbed movie seats, 25% contained staph bacteria, and some even tested positive for E. coli and MRSA. But you should be OK as long as you stop the bacteria from penetrating your skin by wearing a bandage on the injured area – and you wash your hands thoroughly before touching your face. Also, when you’re deciding where to sit in the theater, remember this: The more people in a room, the greater the chance someone has a bug. Droplets in a cough or sneeze can travel 6 rows or more. So, try to sit where it’s least crowded.